Carpal Tunnel Syndrome is caused by a compressed nerve in the carpal tunnel -- a narrow passageway on the palm side of your wrist. If you have pain, numbness, and tingling in your wrist or if your hands "fall asleep" at night... you might have Carpal Tunnel Syndrome. Here's what to do if you think you've got CTS, natural home remedies to try yourself first, and how a chiropractor or massage can help with Carpal Tunnel. Think You’ve Got Carpal Tunnel Syndrome? If you have weakness in your hand or wrist, and your hand or wrist becomes easily fatigued after a certain amount of time at the computer, then you may be experiencing early signs of RSI — Repetitive Strain Injury. 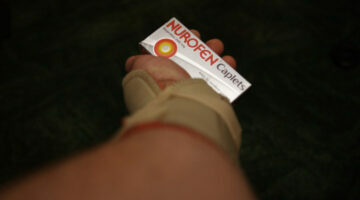 RSI is the underlying problem behind carpal tunnel syndrome.